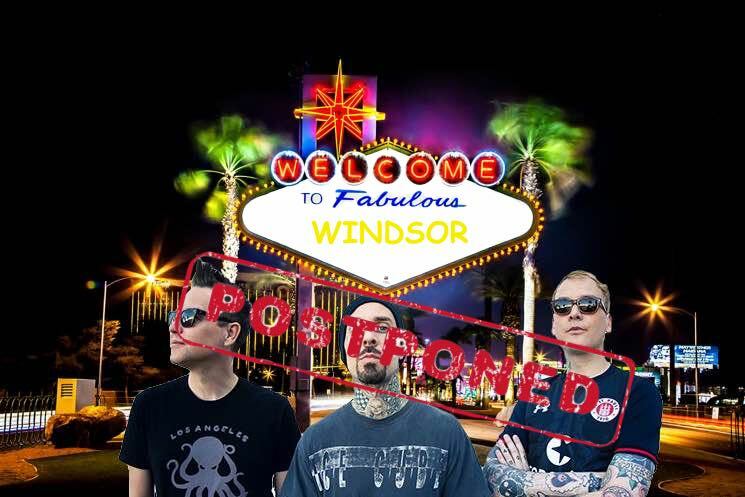 Caesars Windsor Hotel & Casino in Windsor, ON, has announced that all upcoming shows through June 16 have been postponed as the result of an ongoing labour disruption. Concerts scheduled to take place at the hotel's Colosseum venue will be rescheduled, while all hotel reservations until June 16 have been cancelled. The full list of postponed shows includes Pitbull (May 25), Lee Brice (May 26), Daniel O'Donnell (May 27), Blink-182 (June 2), Russell Peters (June 15) and Cole Swindell (June 16). Caesars Windsor says that current ticketholders can hold onto their tickets, which will be honoured at the upcoming rescheduled shows. Refunds will be handled through the point of purchase; if tickets were purchased through the Caesars box office, refunds will be processed once the strike ends. See the company's full statement here. Approximately 2,300 staff members walked off the job on April 6, including dealers, cooks, housekeepers and janitors. Of course, if you really want to see Blink-182 play at a casino, you can always try to nab tickets to their Las Vegas residency.